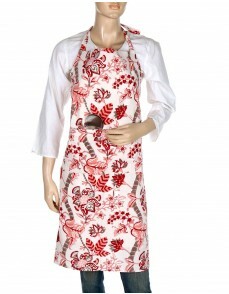 Keep these kitchen gloves handy next time you are in for cooking, baking or grilling the best of the cuisine. Cotton made hand block printed oven mitten are very light in weight. 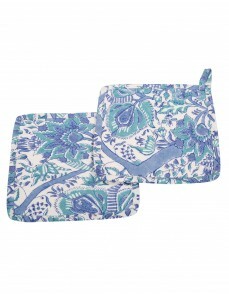 The oven gloves have a sufficient cotton fill inside that makes it very comfortable to use. 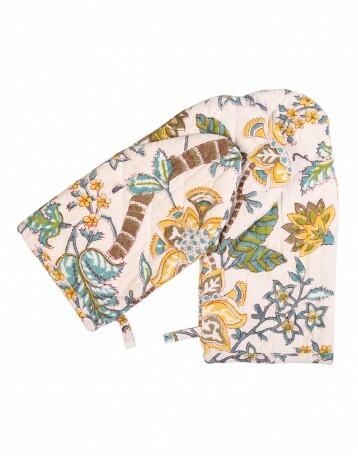 The thick fabric made double oven gloves are durable and good for daily use.use.It comes in the packaging of 2. 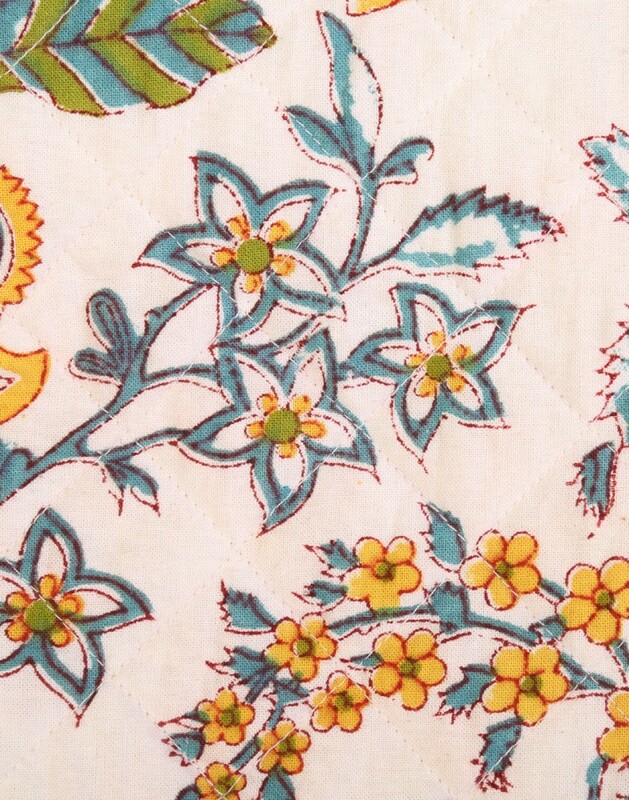 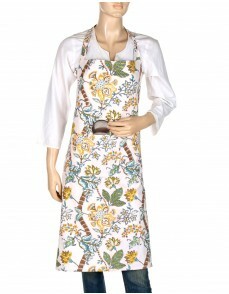 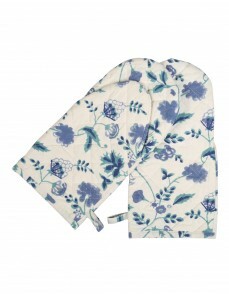 The kicthen mitts has attractive hand block prints and comes with a loop to hang. 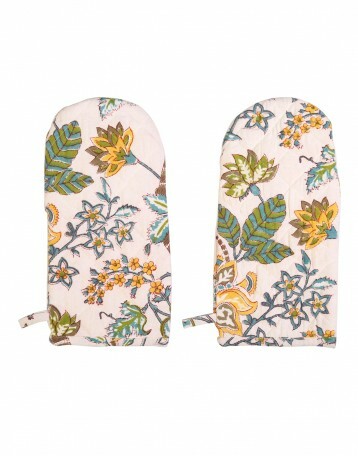 Best oven glove that are to be dry cleaned only for longevity.